How to Meet the Deadline of Your Assignment Successfully? The academic pressure these days is nothing like before. Students have to attend various classes, go through rigorous study sessions, and work on a plethora of assignments. Since they have too many irons in the fire, they often struggle to get their assignments completed before the deadline. As a result, they score poor grades and sometimes even face rejection from their professors. Some students even experience stress and anxiety due to this and lose motivation to study hard and make a successful career. Procrastination is the biggest obstacle that prevents students from finishing their assignments on time. So, the first step is to overcome procrastination because only then you will be able to do your work with perfection and meet your deadline. How to do it: Put your phone aside as it is the biggest distraction. If you are not able to focus on your work, then you can consider listening to music. Also, you should take little breaks in between to kill monotony and stay motivated. A proper schedule is essential to carry out your work in the most organized and effective way. By planning your time properly, you can prioritize your activities and finish your work before the deadline arrives. Proper time management also ensures academic success. How to do it: Count the total free hours that you have and decide how many hours you can spend on writing your papers. Once you make a plan, stick to it so that you don’t miss your deadline and can excel in your writing task. While writing assignments, you should choose a place with no distractions. Choosing isolated places is great because they allow you to concentrate on your work. If you choose a crowded place, then you may lose focus and might not be able to bring excellence to your work. How to do it: If you stay in a dorm room, then you can go to your college library as it is the best place where you get the best thoughts to put down in your document. Whatever place you choose, make sure you don’t lose your focus while being there. Many students fail to meet their deadlines because they believe that missing them would only result in a little penalty. However, they don’t realize that not completing their work on time can decrease their productivity and efficiency. By setting a personal deadline, you can not only finish your work on time but also discover your real potential. How to do it: The deadline that you set for yourself should be ideally up to a week before the one given by your professor. By meeting your personal deadline successfully, you can get enough time to review your work and avoid any last minute hitches. The assignment writing task that your professor gives you is for your own benefit. By working on it, you can grasp every basic and core concepts of the subject that will further help you get exciting career opportunities. So, if grabbing a lucrative job offer is your ultimate goal, then you should work on your assignment in a way that you finish it before time. If you work with sheer commitment and dedication, then you will surely be able to meet your deadlines. Finishing your work on time will not only help you get good grades and appreciation from your professor but will also make you a well-organized and successful individual. So, get a hold of these tips so that you never miss a deadline! 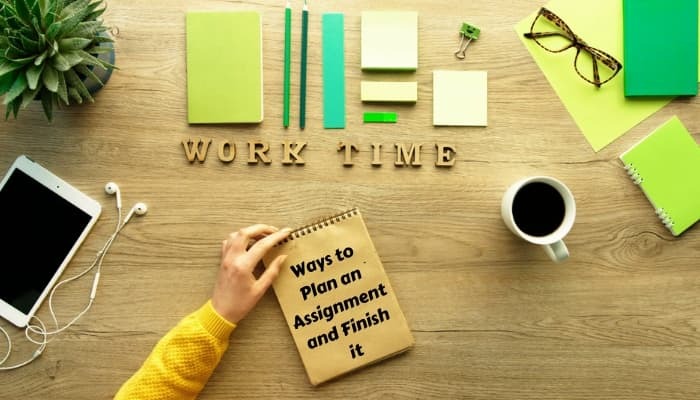 But, if assignment writing is not your cup of tea or if you are not able to work on your paper due to any reason, then handover this task to us. We have a highly competent team of academic experts that leaves no stone unturned in composing top-notch documents. Once you take writing assistance from us, you will be able to fulfil your dream of getting excellent grades and enjoying stress-free college life. So, hurry up and contact us right away!